translated by Hierodeacon Serafim Baltic softcover 375 pgs. 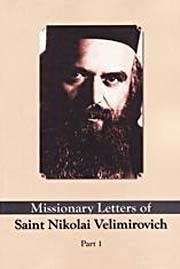 St. Nikolai of Zicha and Ochrid wrote answers to many questions posed to him by laity and clergy in a very simple and clear manner. In 1932 the collection of 300 letters were printed in Serbian, and are now being made available in 3 volumes in English and Serbian. They are a treasure of practical spirituality on a myriad of subjects.